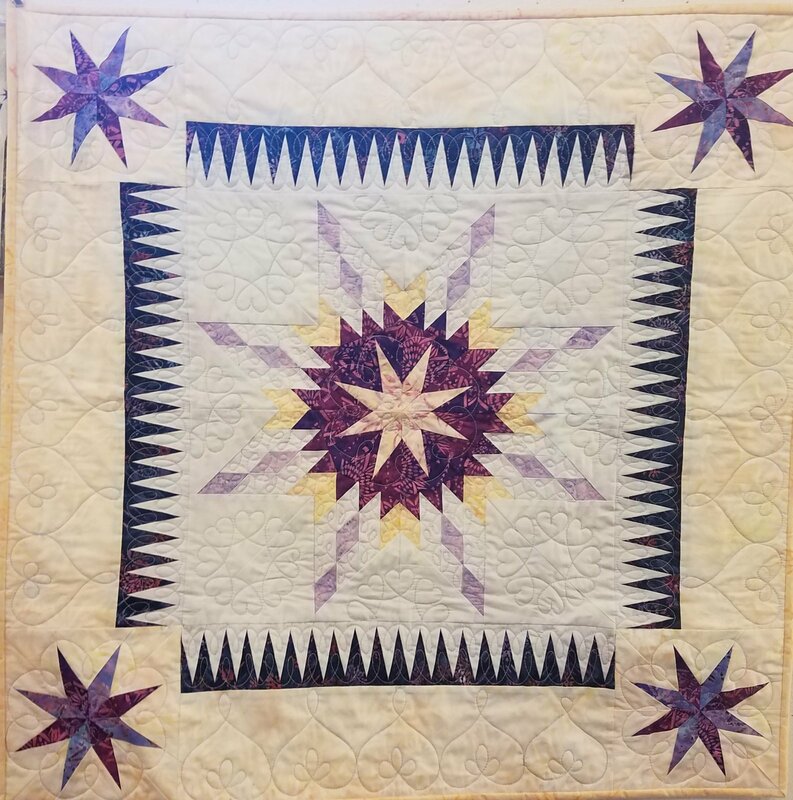 Amethyst Quilt with Spiked Ring Background Kit measures 91" x 91". Pattern included in kit. 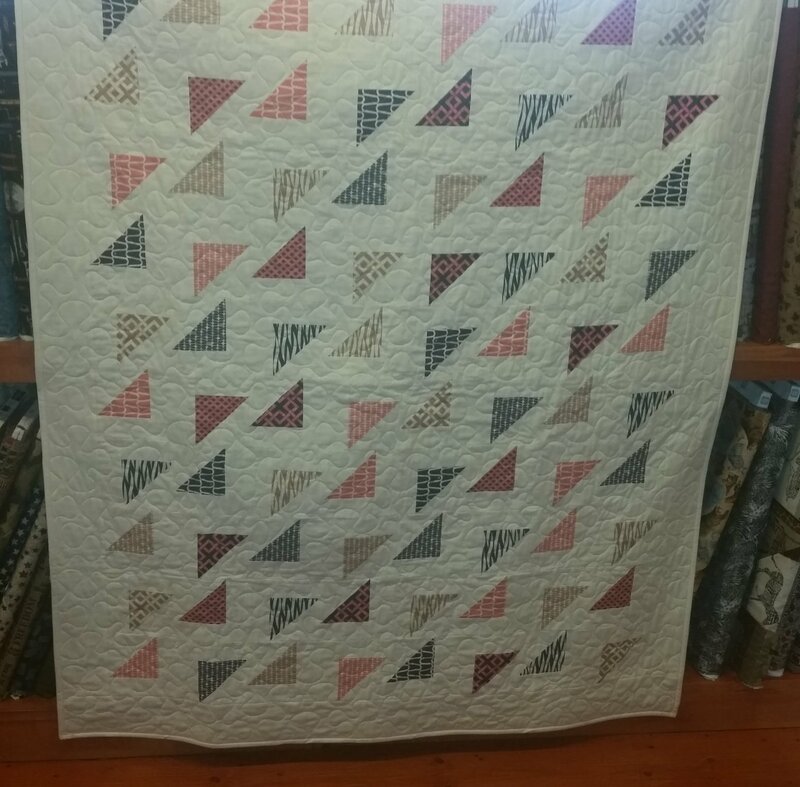 Baby Bella Kit measures 36" x 36". 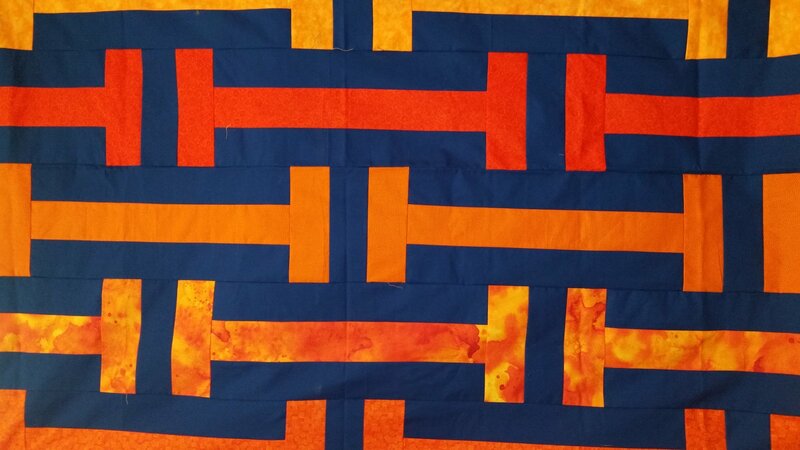 Pattern included in kit. Made by Jeanine. 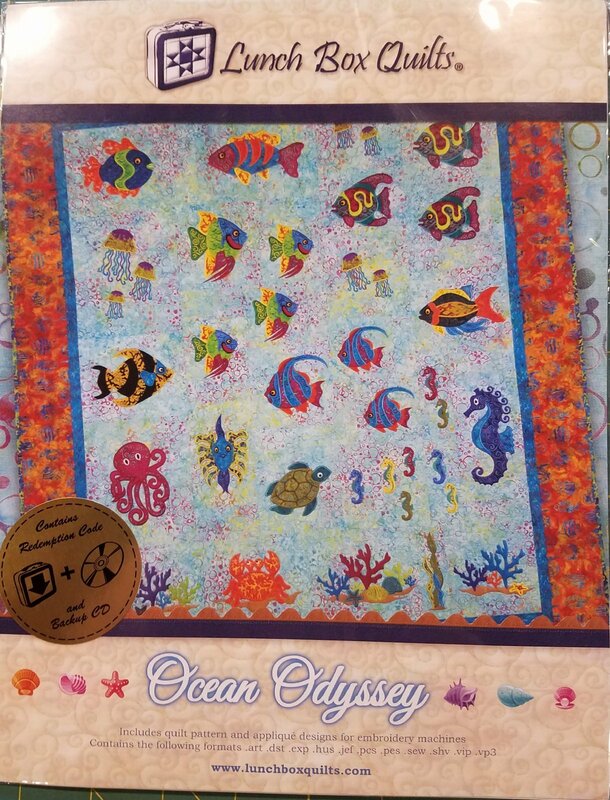 Bubbly Buddies 3D Quilt Kit measures 50.5" x 67.5". Pattern and 3D glasses included in kit. Made by Linda. Churn About Kit measures 54.5" x 64.5". Made by Linda. 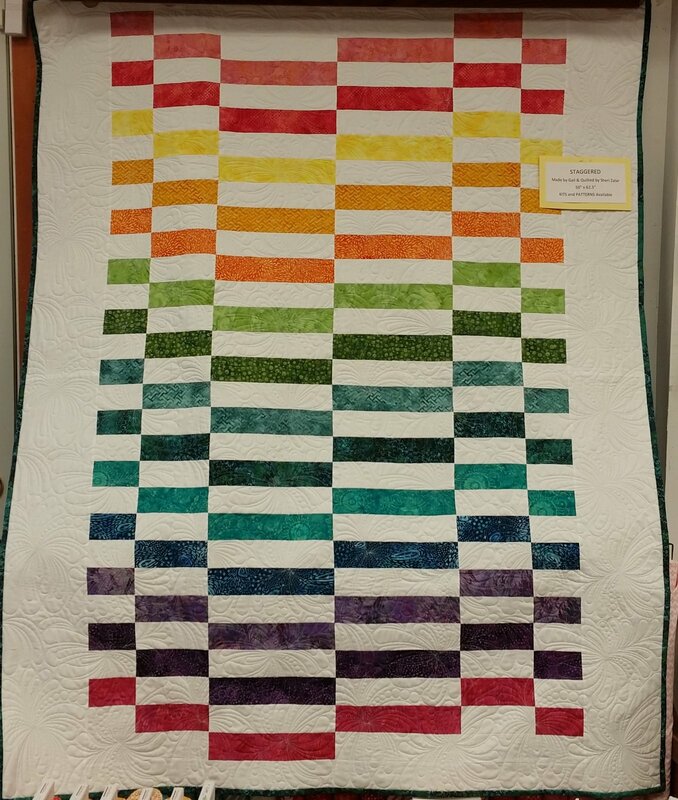 Coast To Coast Quilt Kit measures 54.5" x 64.5". Pattern included in kit. Made by Shanon. Composition Jiggery Pokery Kit measures 54" x 72". Pattern included. Made by Linda. 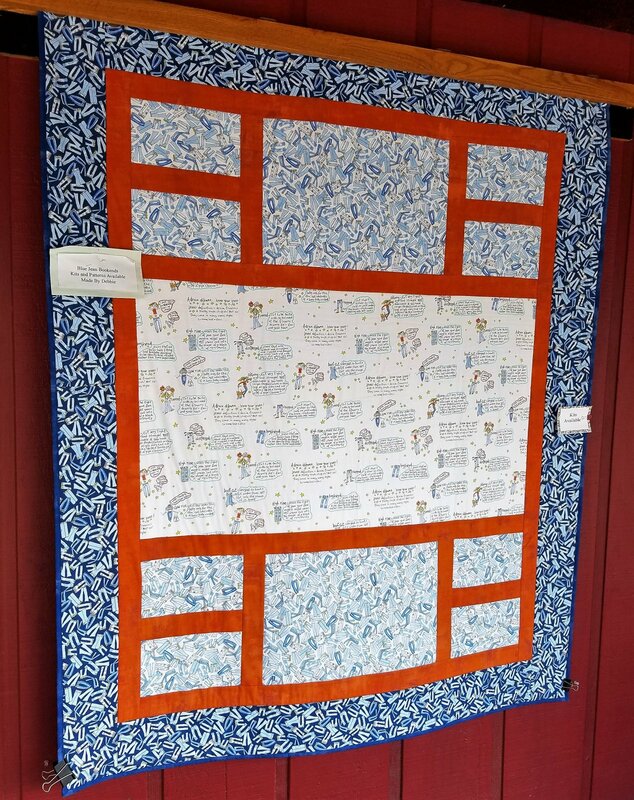 Cornered Quilt Kit measures 78" x 96". Pattern included in kit. Made by Katie. 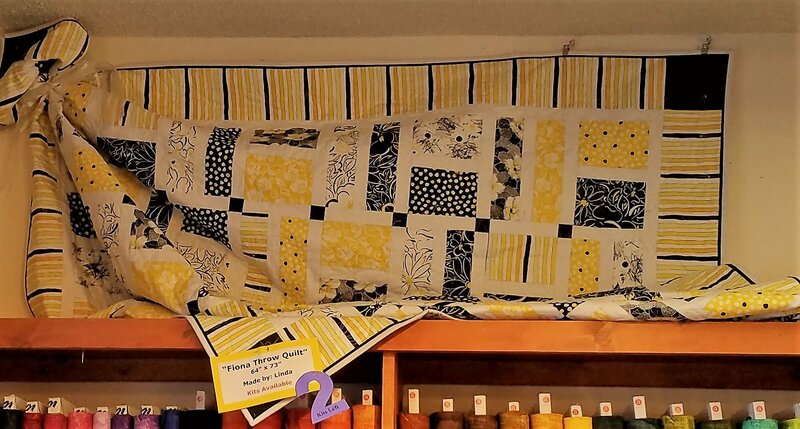 Fiona Throw Quilt Kit measures 64" x 73". Made by Linda. Frozen Fountain Kit measures 65" x 65". Pattern included in kit. Made by Jeanine. 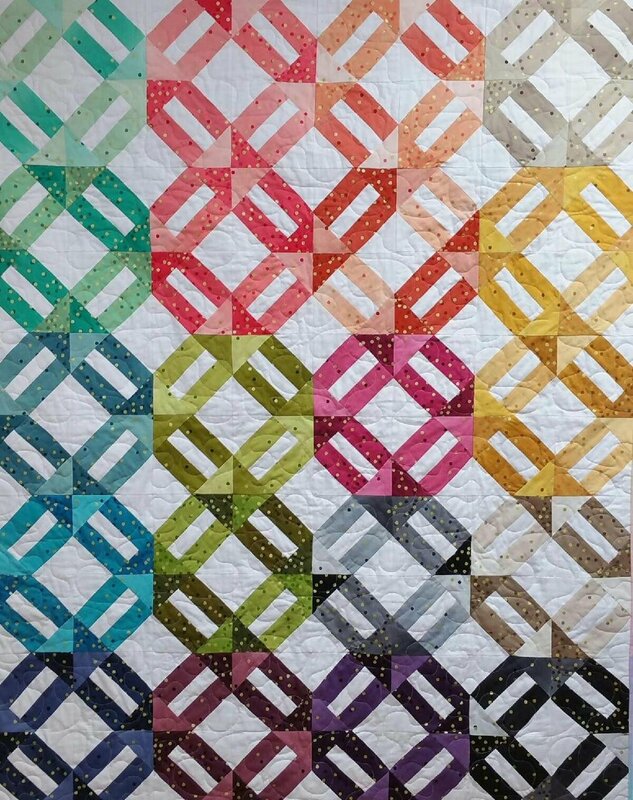 I Beams Quilt Kit measures 54" X 69". Pattern included in kit. Made by Gail. 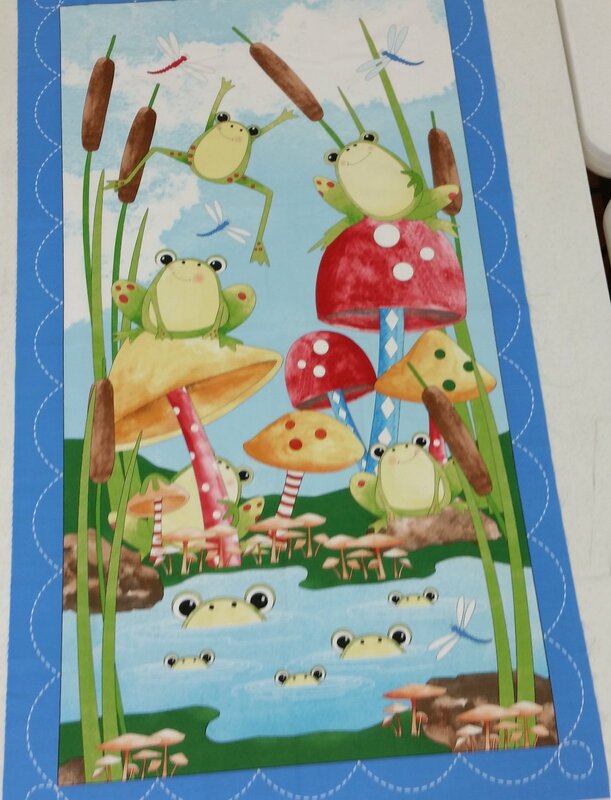 It's A Pond Party Panel Kit measures 58" x 76". Made by Debbie. Still need Panel Play book. 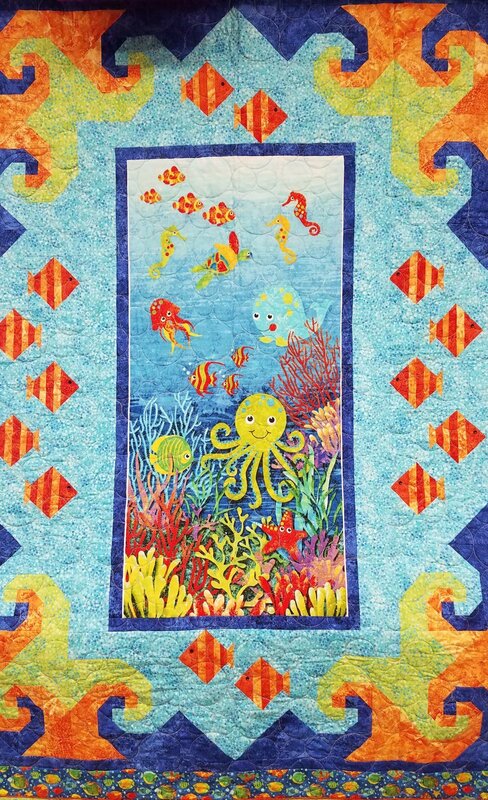 Lake Time Quilt Kit measures 64" x 79". 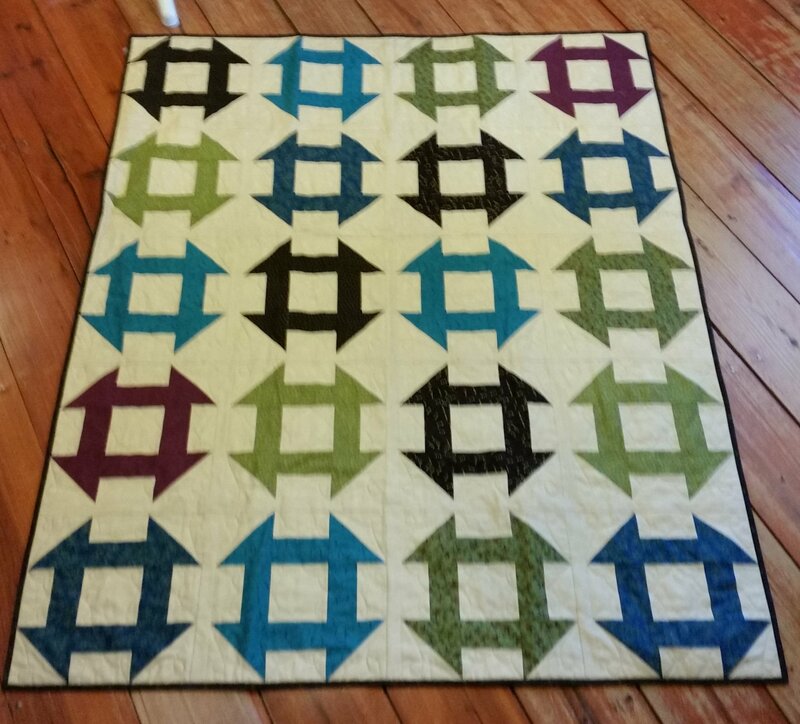 Mod Triangles Kit measures 47" x 57". Made by Linda. 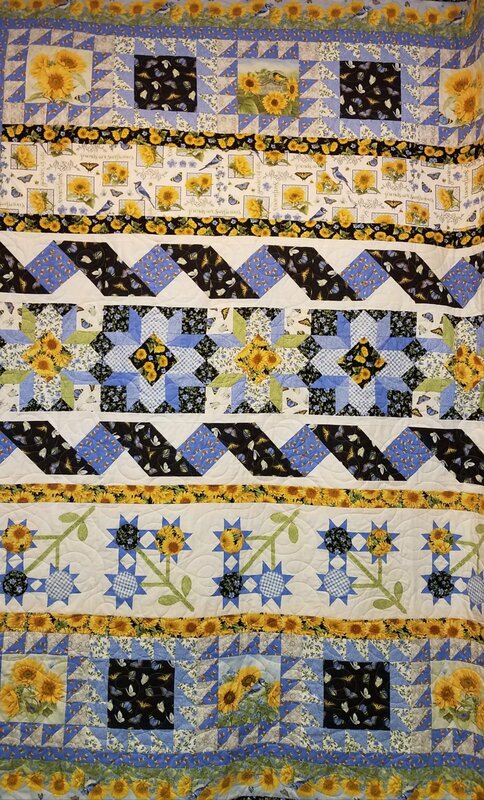 My Sunflower Garden Kit 72" x 92"
Ombre Weave Kit measures 46" x 57.5". 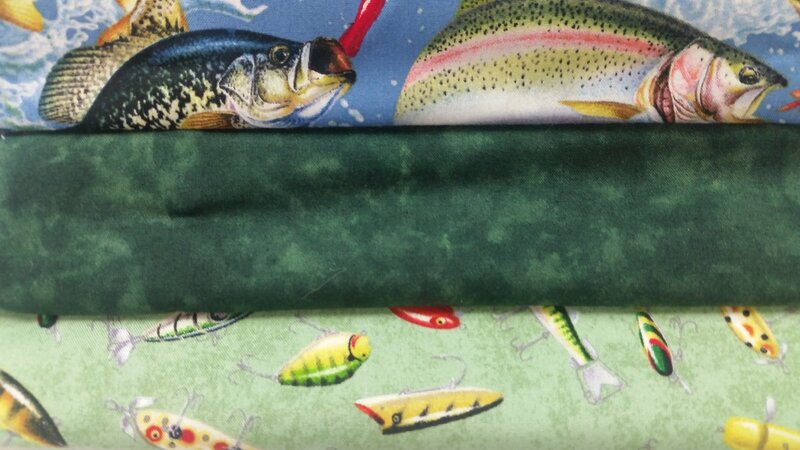 Includes fabric and pattern. Made by Nancy. 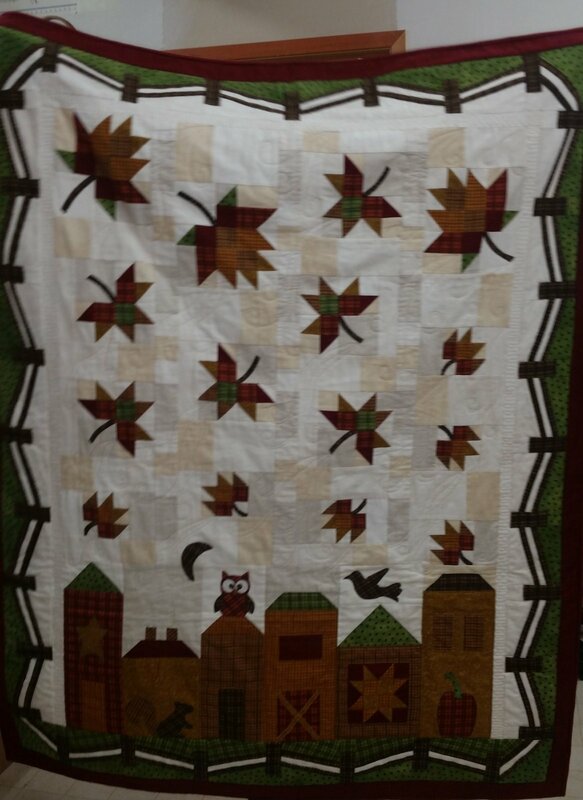 Our Town Quilt Kit measures 56" x 72". Pattern included in kit. Made by Gail. 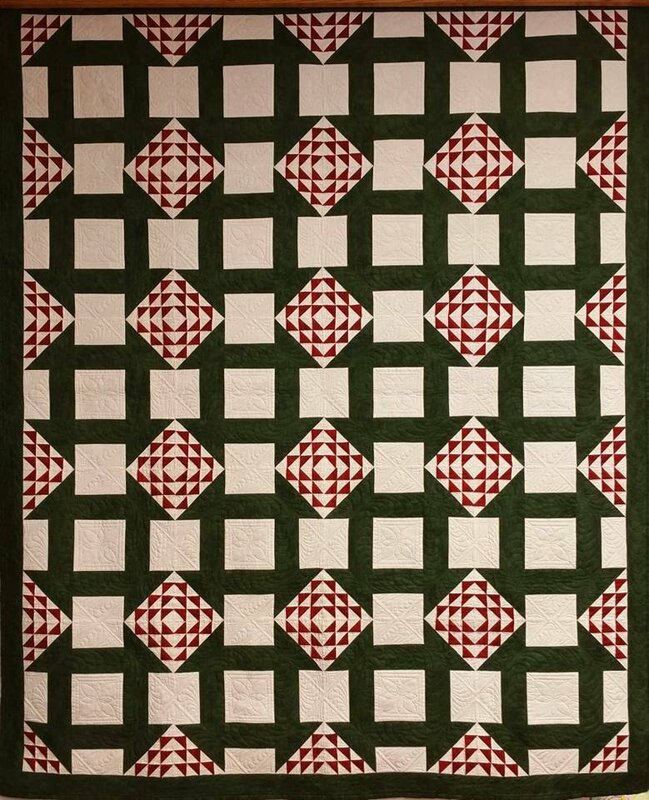 Peppermint Quilt Kit measures 57" x 72". Pattern included in kit. Made by Debbie. 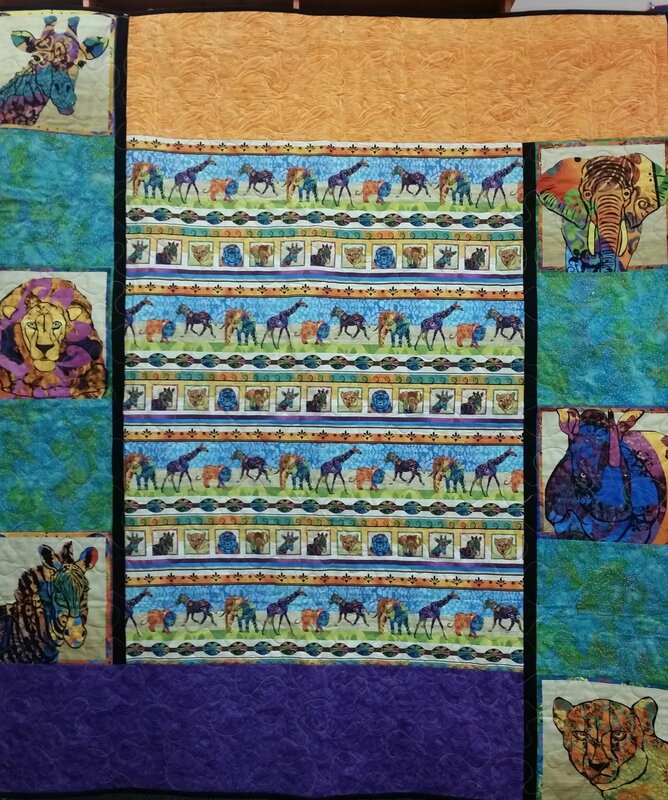 Serengeti Reflection Quilt Kit measures 52" x 60". Pattern included in kit. Made by Linda. 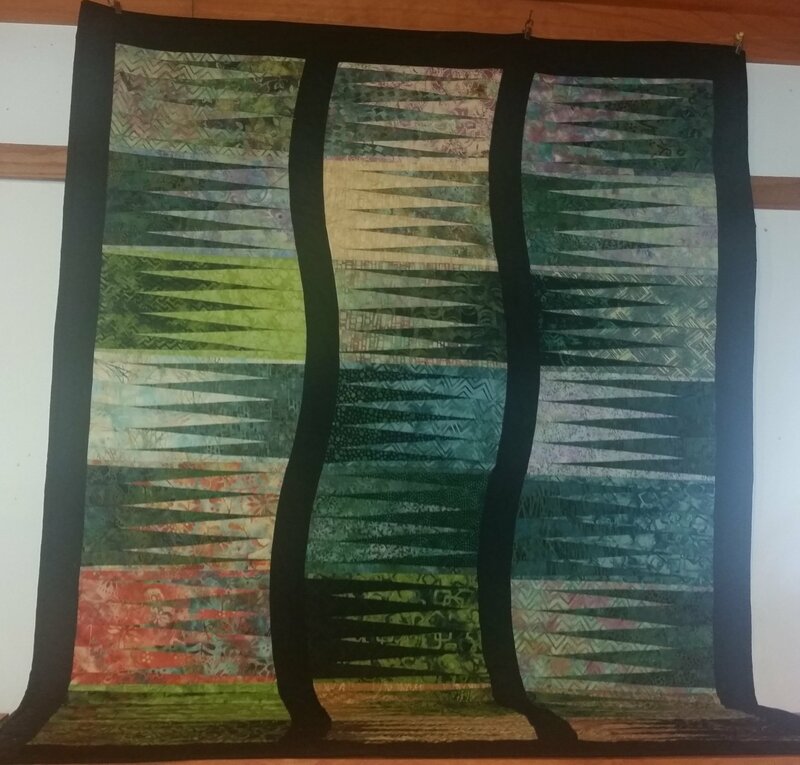 Shards Kit measures 48" x 64". Made by Debbie. 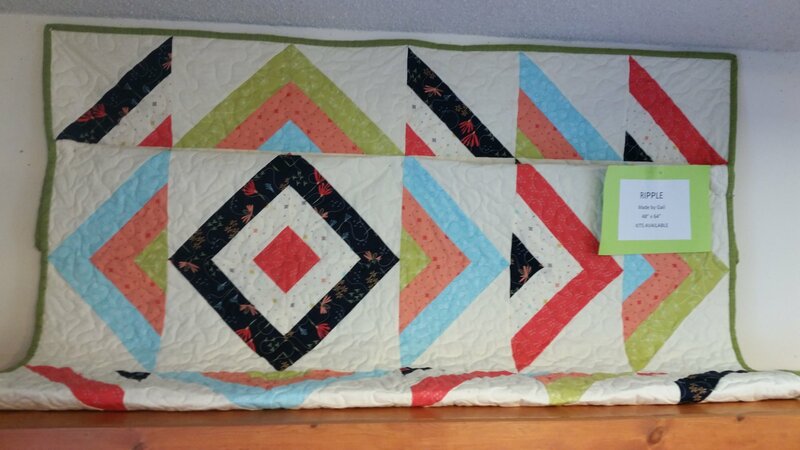 Simply Dashing Quilt Kit measures 58.5" x 72". Pattern is not included with the kit. 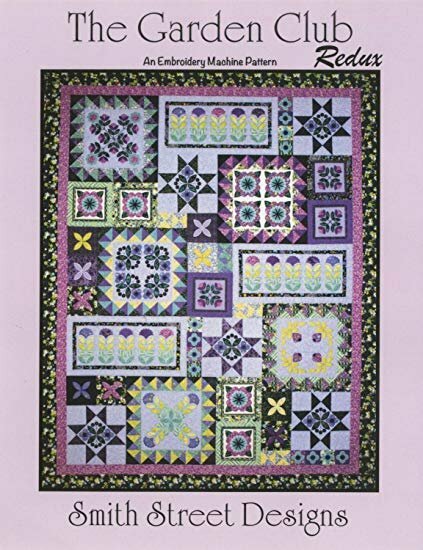 Quilt is featured in Quilt Sampler Magazine Fall/Winter 2018 and the pattern is in the magazine. Magazine is sold separately. 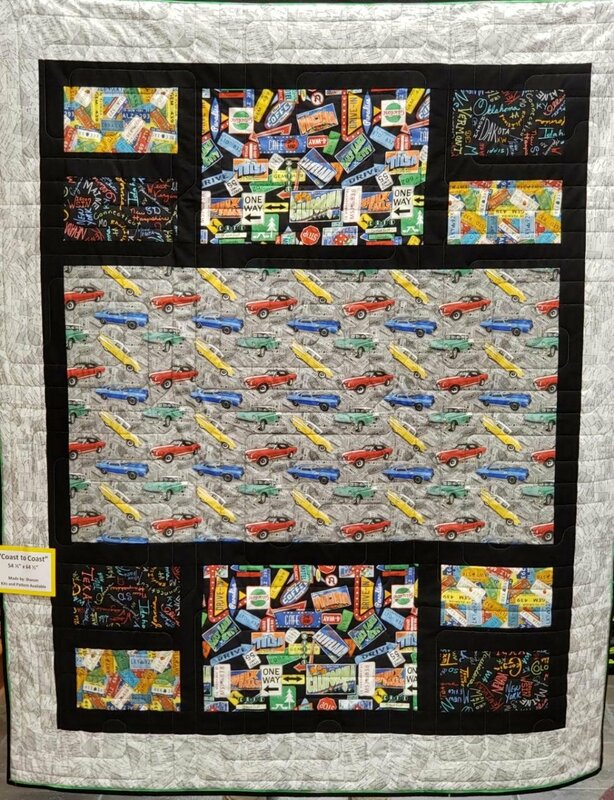 Spotlight Hello World Kit measures 39" x 57". Pattern included in kit. Made by Gail. Staggered Kit measures 50" x 62.5". Made by Gail. 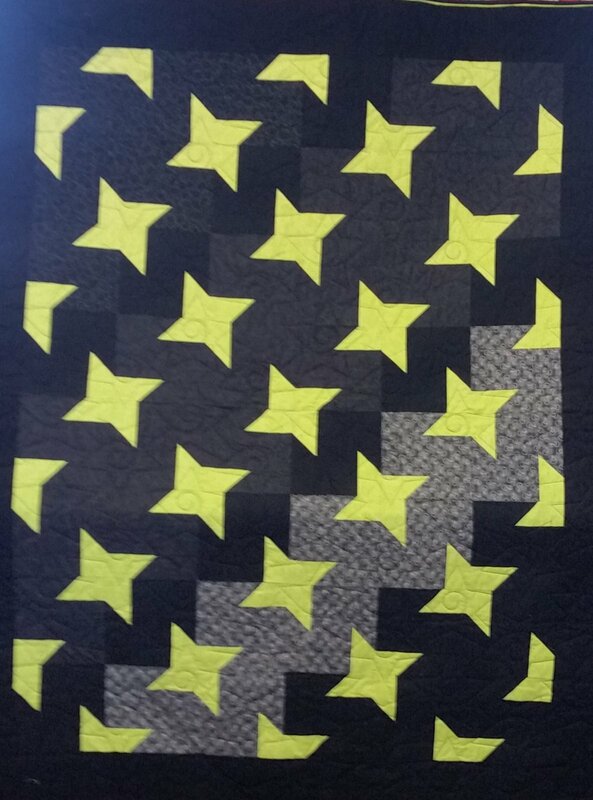 Stars of the Zoo Quilt Kit measures 61" x 75". Pattern included in kit. Made by Linda. Sunday Ride Bingo Kit measures 50" x 75" (No Borders). Made by Debbie. 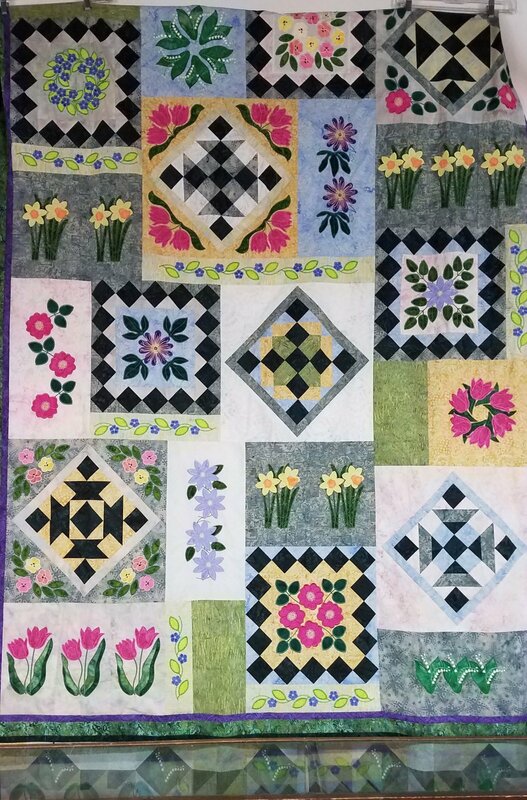 The Garden Club Quilt Kit measures 67" x 85". Pattern included in kit. Made by Linda. 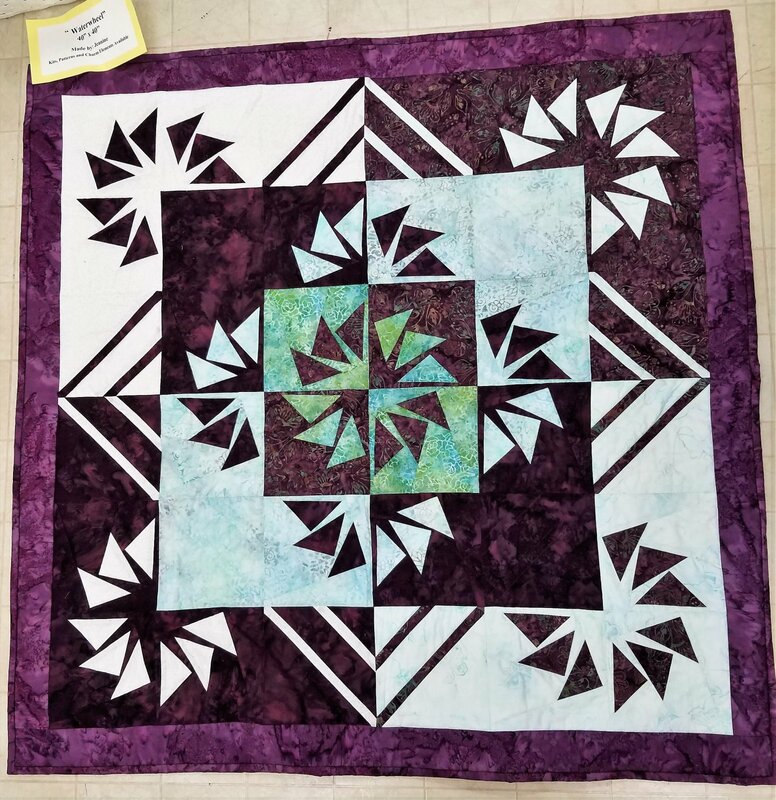 Three Yard Reel It In Quilt Kit. 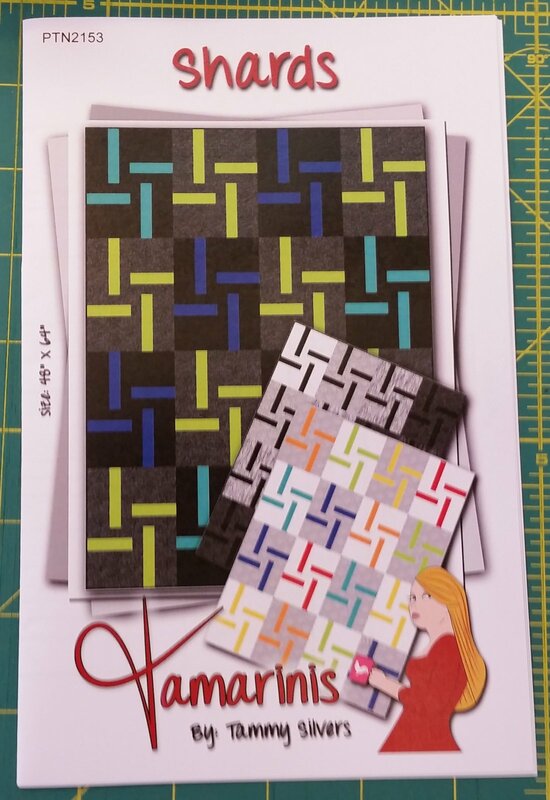 Free pattern with kit purchase. 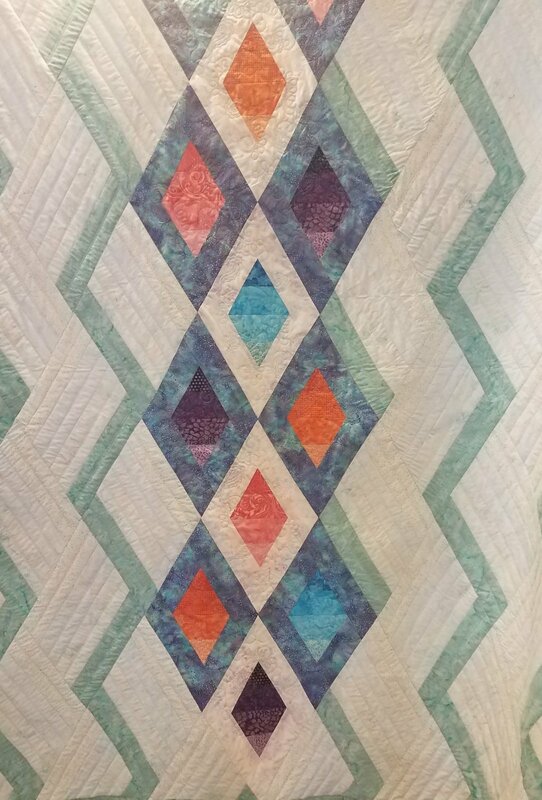 Three Yard River Journey Quilt Kit. 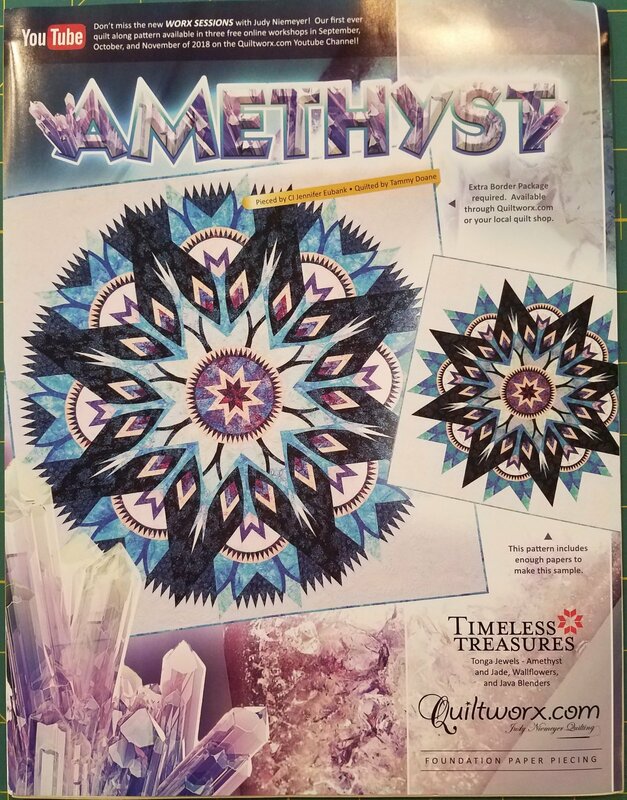 Free pattern with kit purchase. 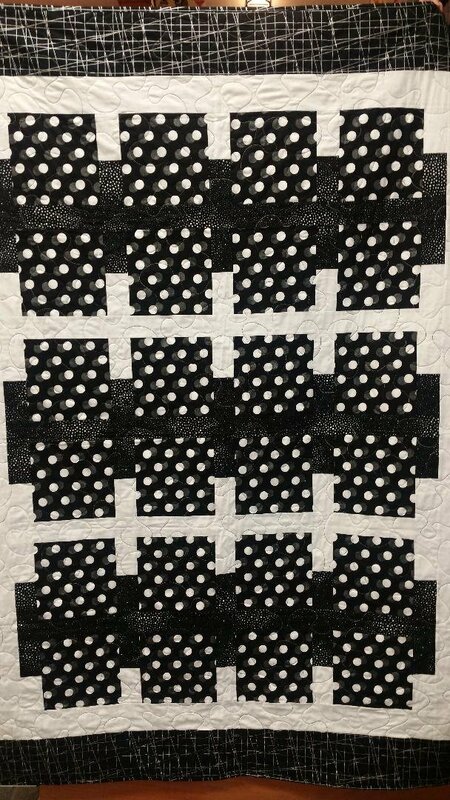 Vertigo Quilt Kit measures 51.5" x 65.5". 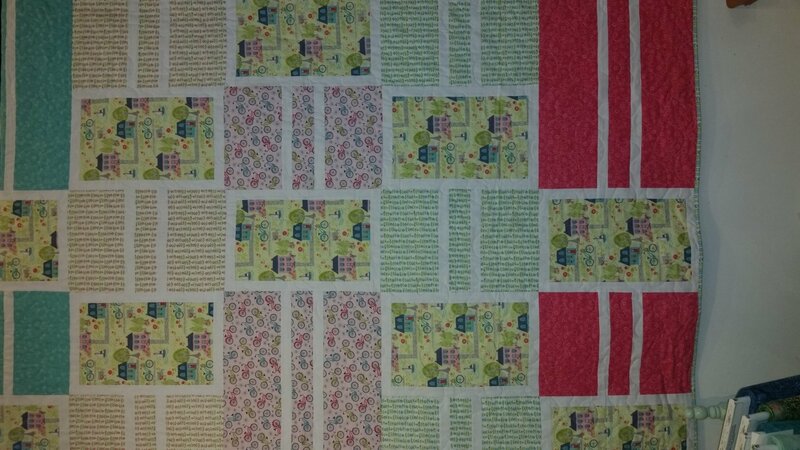 Pattern included in kit. Made by Jeanine. 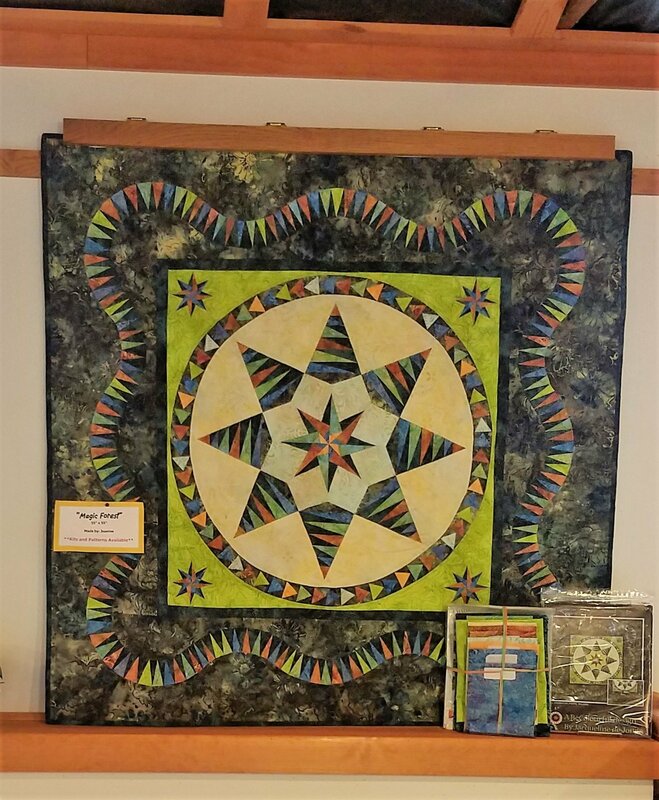 Waterwheel Kit measures 40" x 40". Made by Jeanine. Wicker Basket Kit measures 40" x 52". Made by Jeanine. 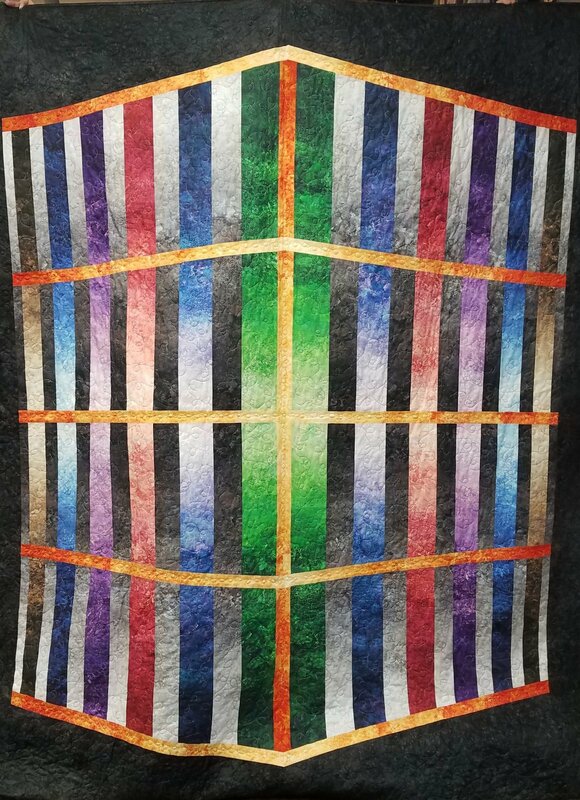 Woven Jewel Box Quilt Kit measures 59" x 72". Pattern included in kit. Made by Peggy. A Day At The Zoo Fabric Pack from Smith Street Designs. 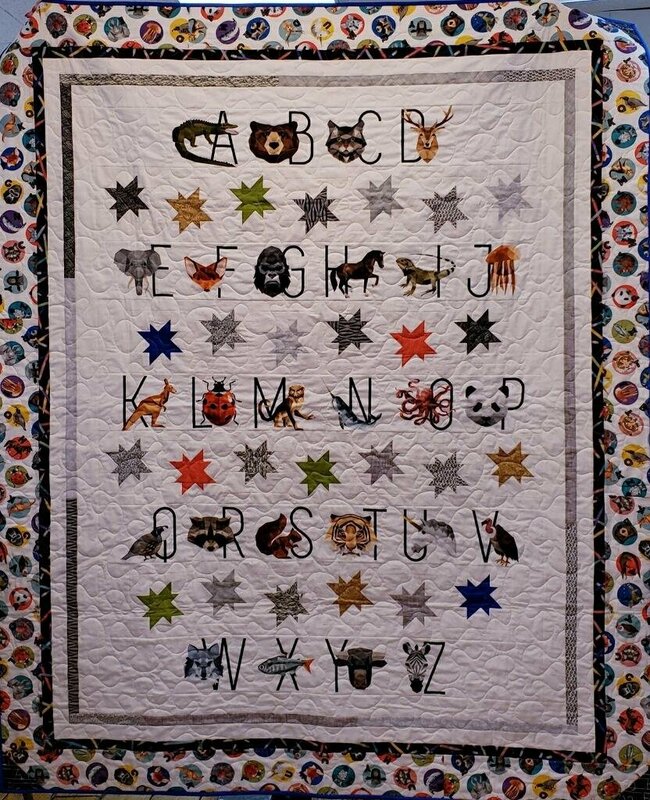 Fifteen textural fabrics for the applique animals in the Smith Street Designs pattern A Day at the Zoo. 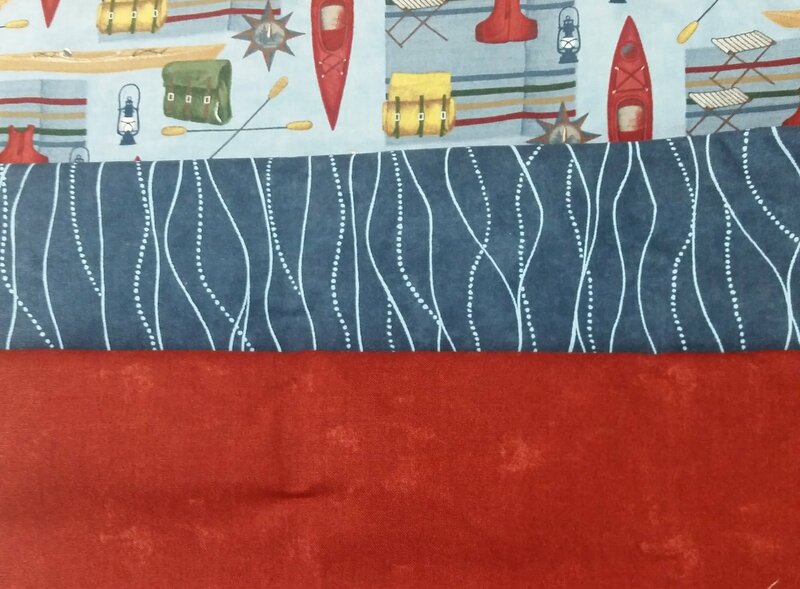 Blue Jean Bookends Kit measures 54.5" x 64.5". Made by Debbie. 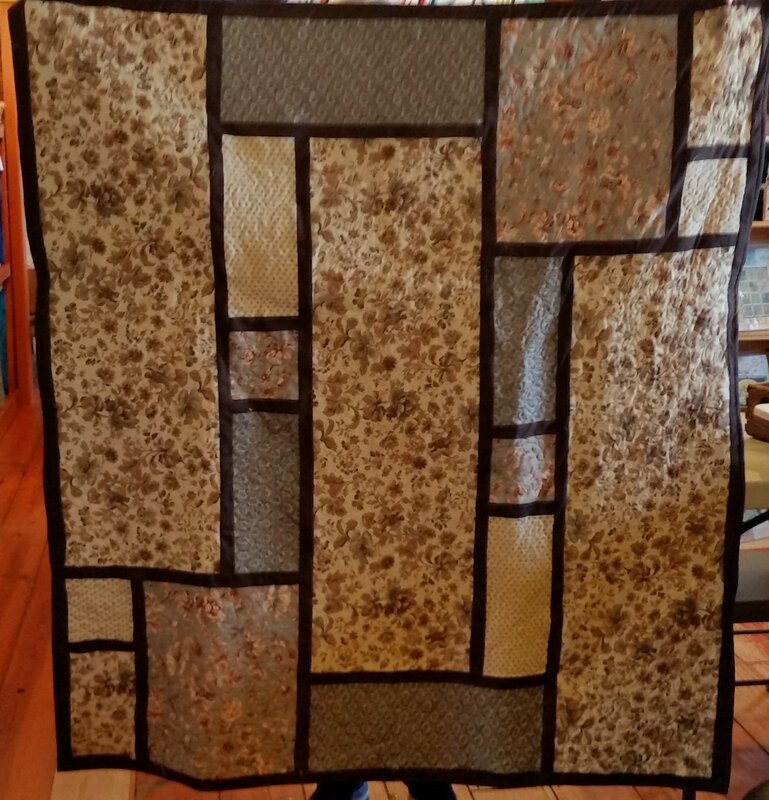 Desert Bloom Ripple Kit measures 48" x 64". Made by Gail. 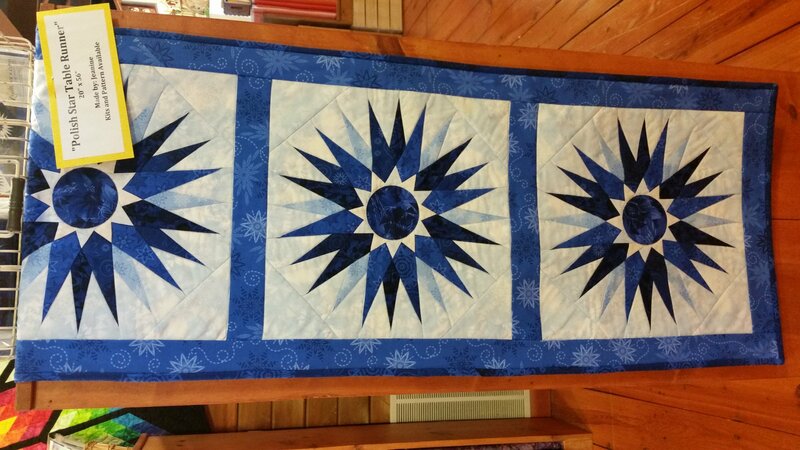 Eliza's Indigo Southern Jewels Kit measures 50" x 56". Made by Pam. 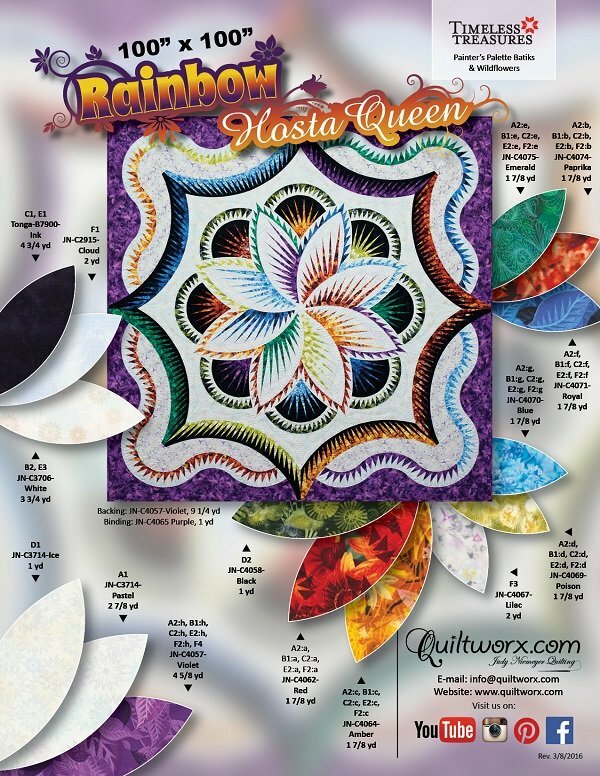 Rainbow Hosta Queen Kit measures 100" x 100". Made by Debbie.